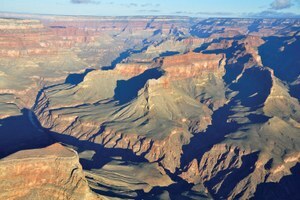 The National Park Service's Preferred Alternative map. 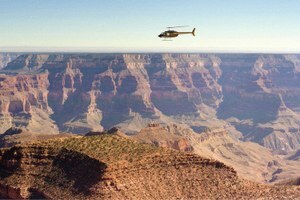 The Park Service offers a plan to ease the conflict over Grand Canyon overflights. 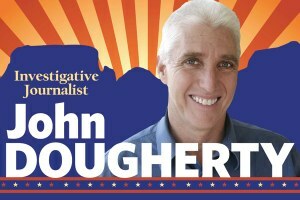 A first-hand account by a longtime Arizona investigative reporter, John Dougherty, about his surprising Senate campaign. 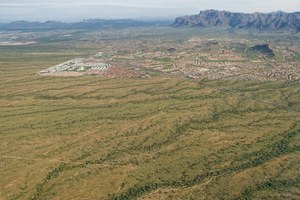 A controversial proposed land swap reveals the growing rift between Maricopa Audubon and a new and wealthier rival -- Audubon Arizona. John McCain likes to compare himself to Teddy Roosevelt, but his conservation record is closer to that of a less-popular Republican: George W. Bush. 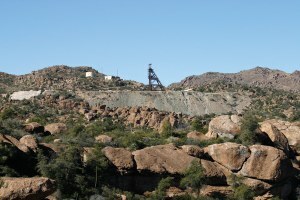 Just over the Arizona-Sonora border, Tohono O’odham traditionalists have joined environmental groups in fighting a proposed Mexican hazardous waste landfill. The Sonoran Desert homeland of the Tohono O’odham Nation has become a nerve-wracking police state, caught in the crossfire between drug and immigrant smugglers and the U.S. Border Patrol. The University of Arizona's determination to build a world-class observatory on Mount Graham creates a storm of controversy involving an endangered red squirrel and an Indian tribe's desire to protect the mountain as a sacred place.